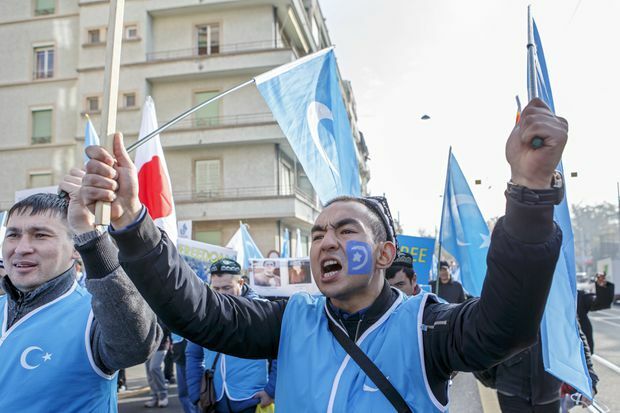 Uyghurs people demonstrate against China during the Universal Periodic Review of China by the Human Rights Council, walking to the place des Nations in front of the European headquarters of the United Nations, in Geneva, Switzerland, Tuesday, Nov. 6, 2018. China must “end prosecution and persecution on the basis of religion or belief,” Tamara Mawhinney, Canada’s deputy permanent representative to the United Nations, said on Tuesday as China was subjected to a rare moment of global scrutiny before the UN Human Rights Council, which examines each country’s treatment of its people every five years. Ms. Mawhinney called on Beijing to “release Uyghurs and other Muslims who have been detained arbitrarily and without due process for their ethnicity or religion.” Canada, she said, is “deeply concerned by credible reports of the mass detention, repression and surveillance of Uyghurs and other Muslims in Xinjiang,” referring to the region in western China where, Western scholars have estimated, hundreds of thousands of Muslims have been incarcerated in centres for political indoctrination and skills training. The public censure marked a new step in the international condemnation of Chinese conduct in what Beijing calls an “anti-extremism” campaign. But criticism levelled by a smattering of democratic countries – Croatia, Japan and Switzerland among them – was all but drowned out by a chorus of flattery for Beijing. More than 150 countries signed up to speak on Tuesday, and dozens of them – from Africa, Asia, Europe and South America – used their allotted 45 seconds to compliment China for fighting poverty, combatting corruption, encouraging entrepreneurship, responding to climate change, reducing smog, expanding forests, opposing double standards in human rights, imposing low tariffs on imports, providing radio broadcast coverage to virtually its entire population and penning a “high-quality” report on its own human rights. 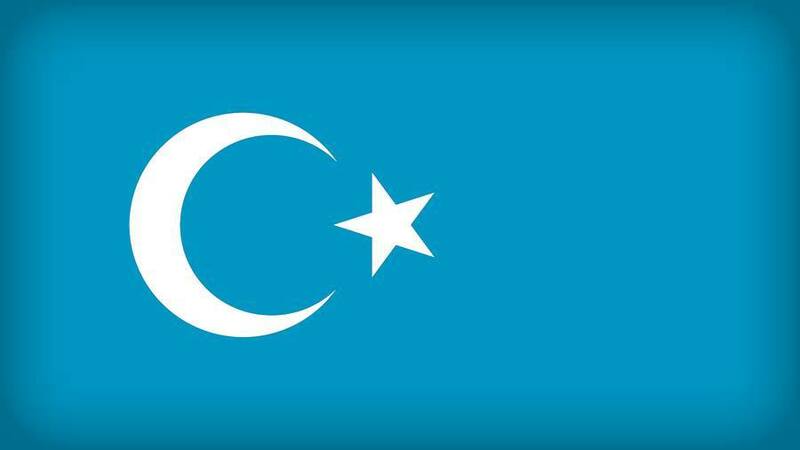 “We particularly congratulate China on its economic and social achievements, which are extraordinary,” added a delegate from Burundi, who recommended “that China continue to focus on terrorist organizations” such as the East Turkestan Islamic Movement. China has cited that separatist group as a security threat in Xinjiang, where Beijing has in recent years built a network of incarceration centres amid an intensive campaign against what it calls extremism. Inside such centres, authorities force the disavowal of religion and recitation of loyalty to the Communist Party and Chinese President Xi Jinping, former detainees have said. Residents of the region say fears of detention without trial are so widespread that religious observance has largely been halted in a region that makes up a sixth of the Chinese land mass. But even among Muslim countries, China received little criticism on Tuesday, underscoring the influence it has amassed as the world’s second-largest economy and an increasingly important global source of trade, foreign investment and aid. The upbeat assessment is ”partially a reflection of China’s economic clout amongst these countries, but also its leadership role amongst countries that are actively trying to undermine human-rights standards,” said Frances Eve, a researcher with the Network of Chinese Human Rights Defenders. “Despite China’s best efforts – through propaganda and platitudes – to reduce the [UN review] to fawning adulation, numerous states expressed serious concerns,” said Sophie Richardson, China director at Human Rights Watch. Detaining people for education and training is a way “to protect the human rights of the majority of people. And for these people themselves, this is a way to save them,” another Chinese delegate added.